The post below contains excerpts from a sermon of Andrew Fuller (1754-1815) titled, “preaching Christ.” The great English Baptist preacher, Charles Haddon Spurgeon, described Fuller as “The greatest theologian of his century.” (The Armies of the Lamb: The Spirituality of Andrew Fuller, p. 23). 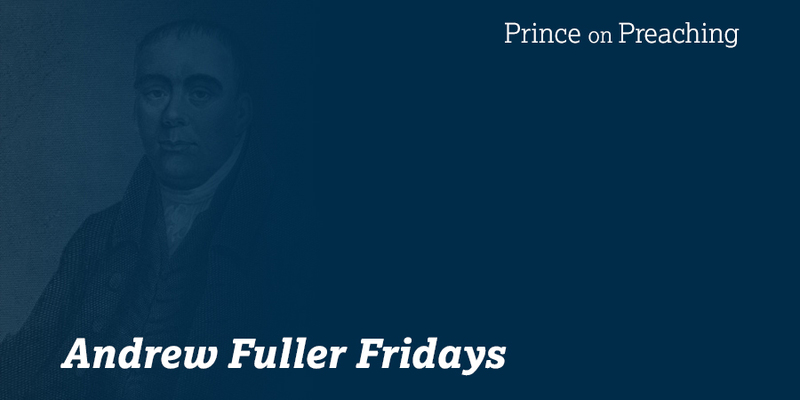 Fuller’s work, The Gospel Worthy of All Acceptation (1785) influenced William Carey and others, and can be rightly considered the foundational document that helped launched the modern missionary movement. Fuller developed and wrote theology as an active pastor. His writings were the outflow of his ministry in the local church and always emphasized practical application for evangelism and missions. His call for Christ-centered, Gospel-focused sermons is needed today as urgently as ever. If we study Divine subjects merely as ministers, they will produce no salutary effect. We may converse with the most impressive truths, as soldiers and surgeons do with blood, till they cease to make any impression upon us. We must meditate on these things as Christians, first feeding our own souls upon them, and then imparting that which we have believed and felt to others; or, whatever good we may do to them, we shall receive none ourselves. Unless we mix faith with what we preach, as well as with what we hear, the word will not profit us. Preaching the gospel is not the only work of a Christian minister; but it is a very important part of his duty, and that which, if rightly attended to, will be followed by other things. To this, therefore, I shall request your attention. You cannot have a better model than that which is here held up to you. The example of the apostles and primitive ministers is for our imitation. Three things are here presented to our notice; what they did not preach what they did preach and what they considered themselves. If worldly advantage be our object, we preach ourselves. If we make the ministry subservient to a life of ease and indolence, we preach ourselves rather than Christ. We may get but little for our labour, and yet, being fond of a life of sloth, (if a life it can be called,) it may be more agreeable to us than any other pursuit. It is from this disposition that many ministers have got into the habit of spending a large part of every week in gossiping from house to house; not promoting the spiritual good of the people, but merely indulging themselves in idle talk. I might add, it is from this disposition and practice that a large proportion of the scandals among ministers have arisen. If the applause of our hearers be the governing principle of our discourses, we preach ourselves, and not Christ. To be acceptable is necessary to being useful, and an attention to manner with this end in view is very proper; but if the love of fame be our governing principle, our whole ministry will be tainted by it. This subtle poison will penetrate and pervade our exercises, till every one perceives it, and is sickened by it, except ourselves. It will inflate our composition in the study, animate our delivery in the pulpit, and condescend to fish for applause when we have retired. It will even induce us to deal in flattering doctrine, dwelling on what are known to be favorite topics, and avoiding those which are otherwise. If our aim be to make proselytes to ourselves, or to our party, rather than converts to Christ, we shall be found to have preached ourselves, and not him. We certainly have seen much of this species of zeal in our times — “Men speaking perverse things, to draw away disciples after them.” Nor do I refer merely to men who would be thought singularly evangelical, and even inspired of God — who are continually holding up themselves as the favorites of Heaven and the darlings of Providence, and denouncing judgments on all who oppose them; and the tenor of whose preaching is to persuade their admirers to consider themselves as the dear children of God, and all who disapprove of them as poor blind creatures, knowing nothing of the gospel. The New Testament dwells much on his being the Son of God — equal with God. It was this that heightened the gift of him, John 3:16. Hence the efficacy of his blood, 1 John 1:7. Hence the condescension of his obedience, and the dignity of his priesthood, Hebrews 4:14-16. Hence the greatness of the sin of rejecting him, John 3:18; and of apostasy, Hebrews 10:29. It is the work of a Christian minister to beat off self-righteous hope, which is natural to depraved man, and to direct his hearers to the only hope set before them in the gospel. Be not concerned merely to form the manners of your congregation, but bring them to Christ. That will best form their manners. 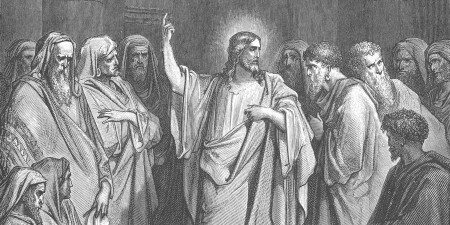 The apostles had no directions short of this: “Repent, and believe the gospel.” They never employed themselves in lopping off the branches of sin; but laid the axe to the root. Your business with the sins of mankind is, to make use of them to convince your hearers of the corruption of their nature, and their need of a radical cure. “This is a faithful saying, and worthy of all acceptation, that Christ Jesus came into the world to save sinners, of whom I am chief.” The gospel is a feast, and you are to invite guests. You may have many excuses and refusals. But be you concerned to do as your Lord commands. And when you have done your utmost, there will still be room. Dwell on the freeness, and fullness, and all-sufficiency of his grace, and how welcome even the worst of sinners are, who, renouncing all other refuges, flee to him. “Your servants for Jesus’ sake.” Ministers are not the servants of the people in such a sense as implies inferiority, or their having an authority over them. On the contrary, what authority there is, is on the other side: “Obey them that have the rule over you.” Nor are ministers the servants of the people in such a sense as to be directed by them what to preach. In these respects one is their Master, even Christ. But ministers are the servants of their people, inasmuch as their whole time and powers require to be devoted to their spiritual advantage — to know them, caution, counsel, reprove, instruct, exhort, admonish, encourage, stimulate, pray, and preach. Study to promote their spiritual interests as individuals, and their prosperity as a people. Nor should ministers think it too much to lay themselves out in this work. They do it “for Jesus’ sake.” This was the motive addressed to Peter. “Lovest thou me? — Feed my sheep. Feed my lambs.” — “Feed the church of God, which he hath purchased with his own blood.” . . . Let Christ be not only the theme of my remaining ministry, but the exaltation of him and the enlargement of his kingdom the great end of my life! If I forget THEE, O my Saviour, let my right hand forget; if I do not remember THEE, let my tongue cleave to the roof of my mouth! The Complete Works of Andrew Fuller, ed. Joseph Belcher, (Sprinkle Edition, 1988, 1:501-503). Get Dr. Prince’s posts delivered to your inbox! Quietly Content to Use the Means for Saving Souls, without Seeing them Saved? No!